Ho, ho, ho! 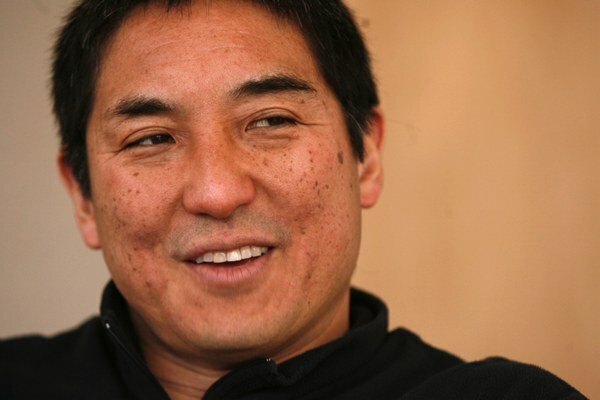 It’s Christmas time and erstwhile Apple evangelist Guy Kawasaki has a new book out. You didn’t know that, did you? Well, now you do. Not because of the book per se, but because Kawasaki said something completely unrelated — “Android is better” — that is generating big headlines on the Android fan blogs and anyone else looking for a quick page view infusion. Dan Lyons — yes, that Dan Lyons — has interviewed Guy Kawasaki and, although other smack was talked, the words of import are these. “I won’t switch [back to iPhone] now, because I think Android is better,” says former Apple evangelist. Kawasaki switched to Android some time ago because he wanted a smartphone with LTE — the iPhone just recently went LTE. Since then, Guy has become enamored of Android, which is a common enough occurrence coming or going.